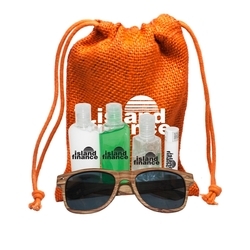 The Jute Sun Kit includes: imprintable 1 oz. 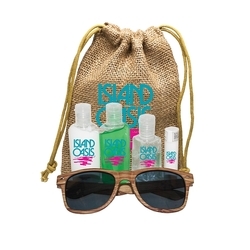 sunscreen, imprintable 1 oz. 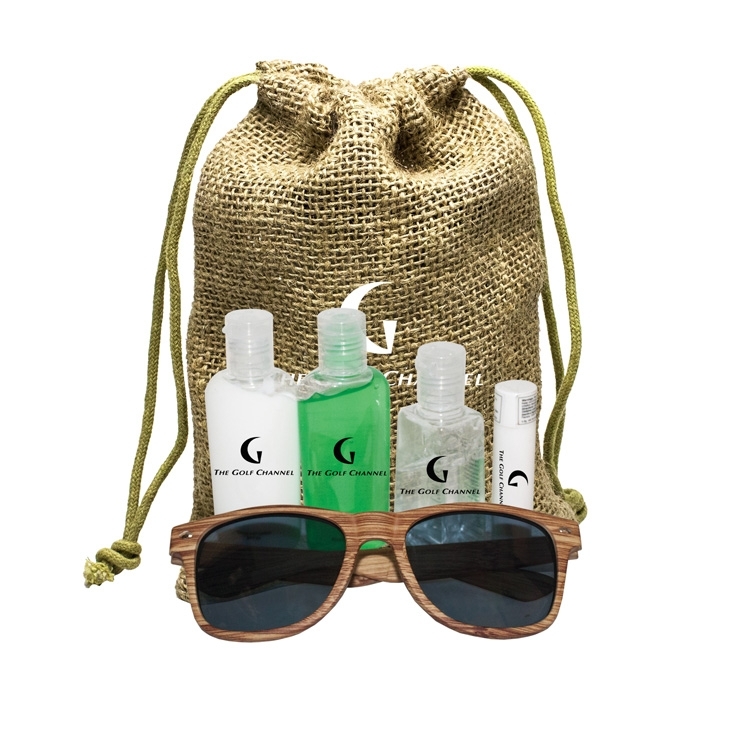 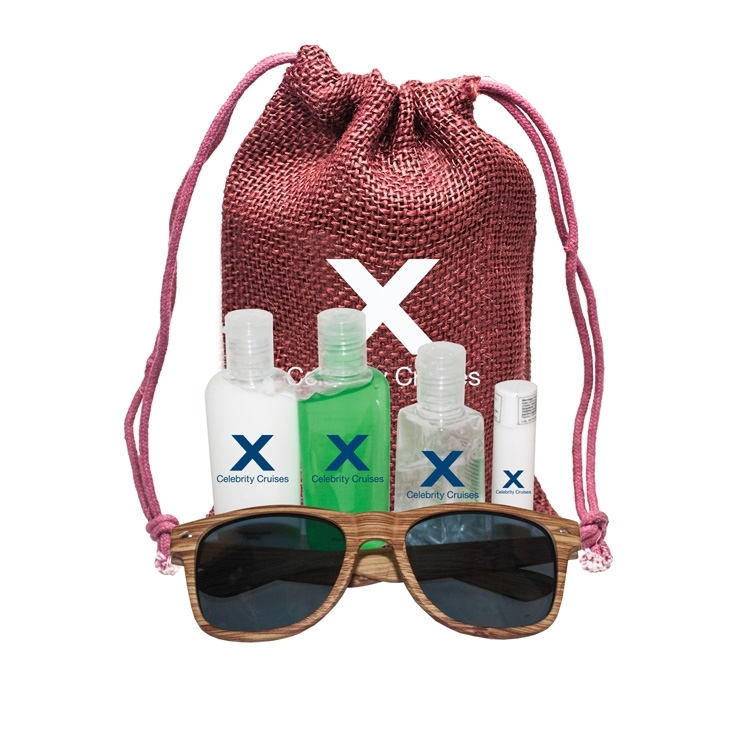 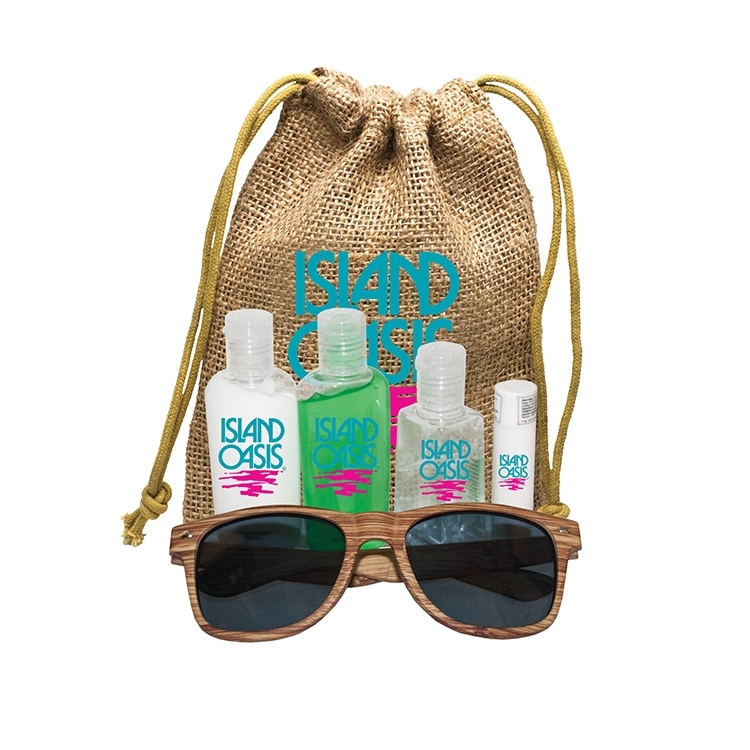 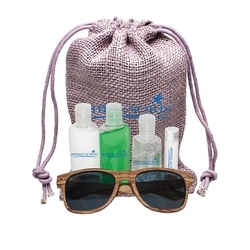 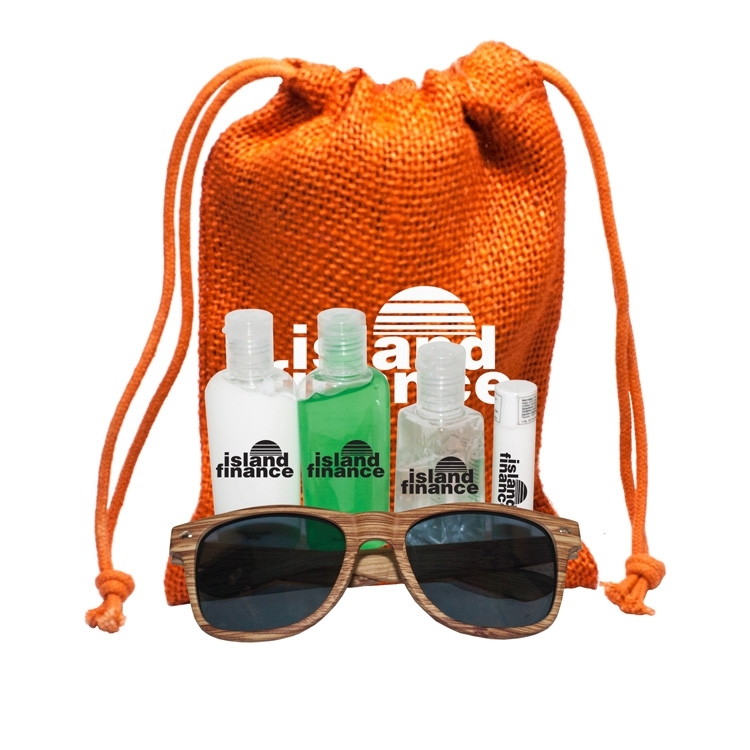 aloe vera gel, imprintable hand sanitizer, imprintable lip balm and faux wood frame sunglasses with UV400 sun protection, FDA approved all inside a jute drawstring pouch. 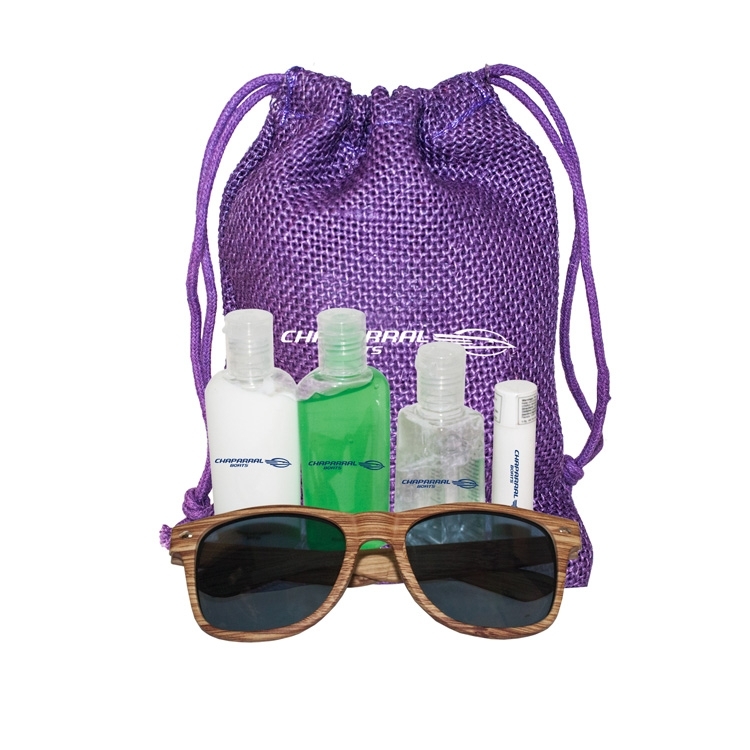 Decorations: Bag: W 3.5" x H 5"
Sunscreen & Aloe Vera Bottles: W 2-1/2" x H 1-1/2"
Hand Sanitizer Bottle: W 2-1/2" x H 1-1/2"
Lip Balm Canister: W 2-1/2" x H 1-1/2"
Sunglasses: W 2.5" x H 0.5"